Imagine if there was a place where you could eat good food and somehow contribute charity. Sounds like something out of fantasy right? In fact such a place does exist, the unadorned Ngopi on Anazac Avenue. The restaurant itself looks as earnest as its cause, with mismatched tables, chairs and odd colour scheme. Run by a Penangite chef and served by volunteers, the proceeds go to several charitable organisations. This set up places Ngpoi in a uniquely prestigious position, which is further elevated by the great food. Ngopi has the most authentic Malaysian food I’ve had, with plenty of the South East Asian flavour punch I’d expect. The beef rendang is as dry and coconutty as it needs to be, the beef tender with a slight bite remaining. 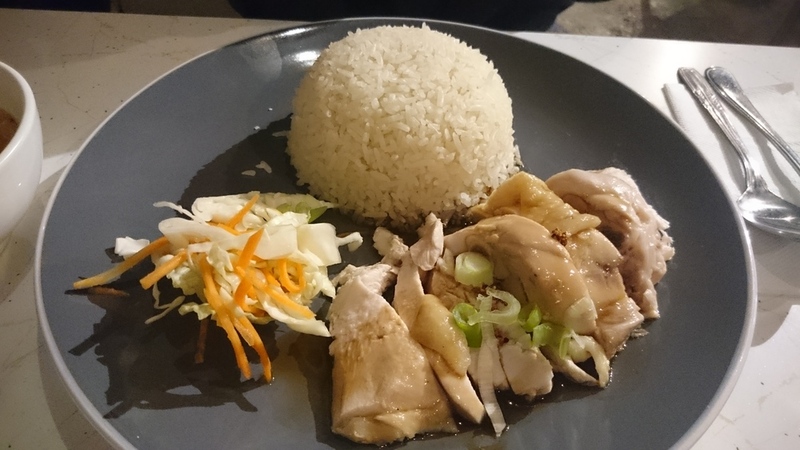 The chicken rice full of broth flavoured goodness, without a dash of oiliness. The laksa, with it's fat prawn, is pungent and coats your mouth in its slightly curried glory. The choice of classic dishes is comprehensive, and tasting them brings me a little closer to South East Asia. With ubiquitously good dishes, Ngopi serves the best Malaysian food in Auckland, and with a heartfelt cause attached.